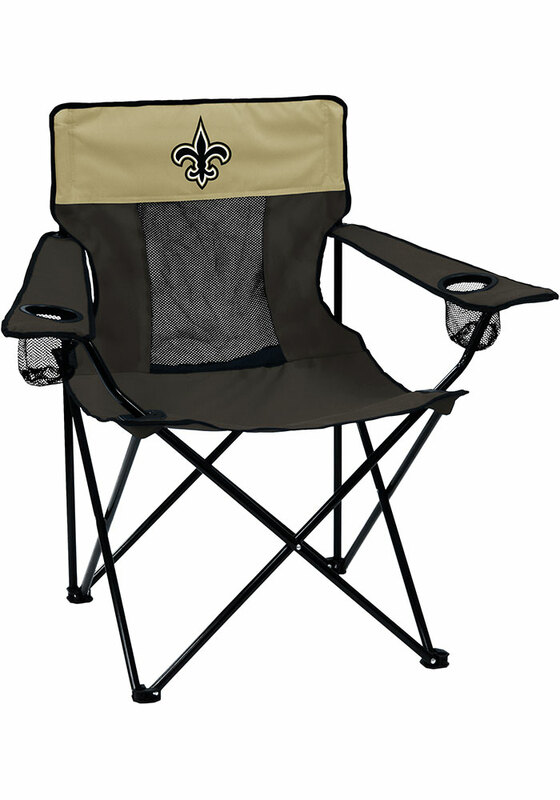 Take your Saints spirit with you to the next tailgate with this New Orleans Saints Elite Canvas Chair. This Canvas Chair features a New Orleans Saints logo. Ideal for watching the big game or just for relaxing outdoors. The adjustable armrests each house a mesh cup holder to keep your drink in reach. The mesh back provides comfort and breathability for hot days on the sidelines. Matching carry bag with shoulder strap. Go Saints!